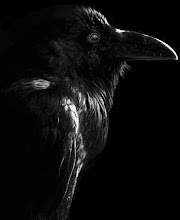 Nevermore: I love these guys. Seriously, these guys are like one of the best things to happen this year. Look at his cute little Finland hat he has at the beginning! And I love the way the big demon dude is busy roaring "Hard! Rock! Hallelujah!" While the keyboard playing demon is tapping his keyboard and bopping away in the background occasionally throwing his head back and going "AaaaaaaaaaAAAAAAAAAAAaaaaaaaaa!" like it's the-most-normal-thing-in-the-world. It's quality. Don't deny it.